'Stella Matutina' is a secondary school for girls, started in 1988. The school was inactive from April 1994 till October 2002. The school started in 1988 with 84 students, only girls divided in 2 classes (technical grade). In September 1991 the school opened a department primary education. In April ’94, there were 315 students in the 6 years of secondary technical education and the first till third year primary education. It is the intention to increase the amount of students in 2008 to 520, with a current limitation on 437 because of a lack of dormitories. The target is to offer girls a scientific education to allow them to complete knowledge and competences, which is not only beneficiary to their own development but also to strengthen the further development of the whole country. On top of the educational package the students are active in several areas: sportive (volleyball, basketball), cultural (ballet, theatre), social (anti-aids organisation), in the youth movement and action groups (scouting, red cross, chorus). The students are guided by a team of 5 administrative co-workers, 18 teachers and 13 persons in the supportive staff. 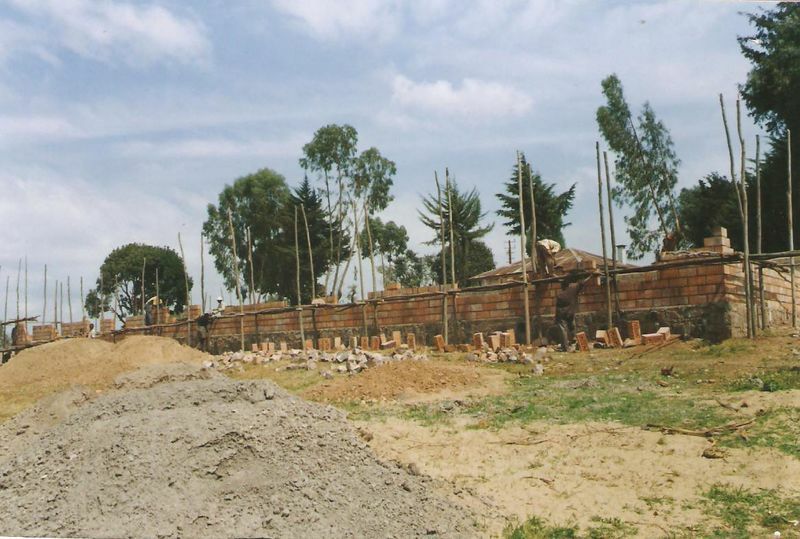 Construction and equipment of dormitories for 200 students. Secondary school 'Stella Matutina' : North Province, District Rulindo, Sector Shyorongi, cell Bugaragara. Near the road Kigali-Ruhengeri at 18 km of the centre of Kigaly and on 13 km of the Nyabugogo-bridge. 'Stella Matuttina', Shyorongi has serious boarding-house problems. 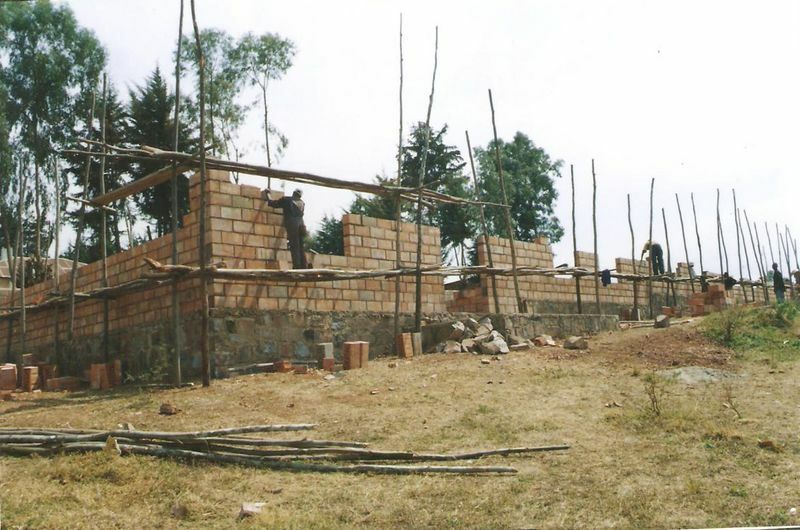 Beginning 1994 the executive board planned the Construction of a dormitory, which was not realized with the consequence that most students were sleeping in the classrooms, others in the parish room of Shyorongi. At the re-construction of 2001-2003 The African Bank for Development didn’t do anything about the dormitory problem. Only in 2003 some help in this came from a German organisation. There are boarding possibilities now for 270 students; the other girls are hosted in the new classrooms which will be used for this purpose according to the needs. This year the students study in 12 classrooms. For the coming years there are no free classrooms anymore. This means that in case of no extra financing for the dormitory it will be impossible to expand and that the start of the department sciences-mathematics, foreseen for 2009, eventually will not take place. With the support of the province of Oost-Vlaanderen in 2004 a part of the fences around the school at the street side were placed, the badly damaged lodging of the teachers was repaired and 45 double-beds (for 90 students) were purchased. This project wil contribute in solving the boarding problem for the girls/students coming from all provinces of the country, who because of poverty can not find out-of-school boarding. Contribute to the positive image of the school in the nearby environment. Offer extra chances to succeed to the boarding students. 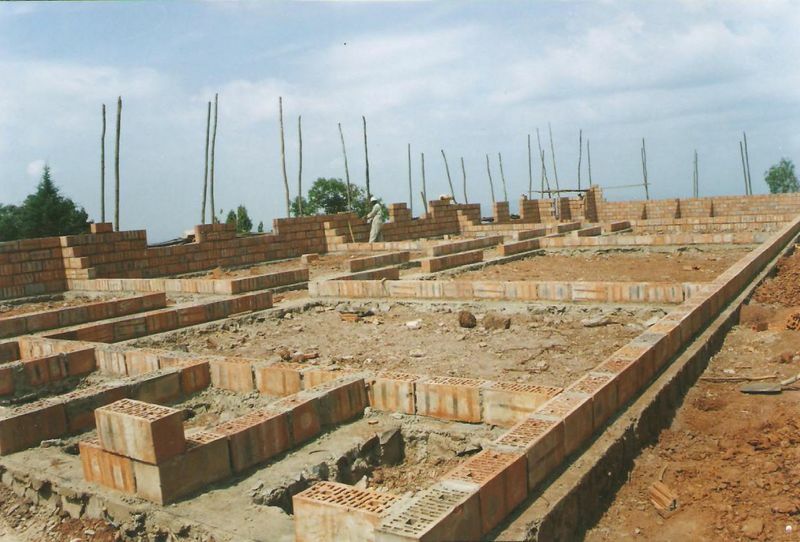 · Building a dormitory with double-beds for about 200 students. · Free up classrooms in order to be able to allow more students. · Safety of the students by offering boarding. · More chances on success for the students because of more positive circumstances. One year starting from the moment of receiving the financial support. Partners are the students and the administration of the Secondary school 'Stella Matutina' Shyorongi. 'Vleugels van Hoop' for the sponsoring of the equipment in the dormitories. 2.5.1. Students: The number of students increased from 171 in 2002 to 438 in 2008. 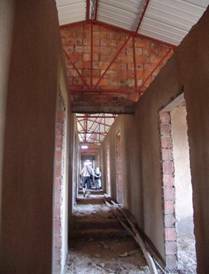 Only the floor covering and the ceiling are missing in the new dormitories. The order for the beds, mattresses and blankets were by placed by Christine. So as soon as the building is fully ready the equipment, sponsored by ‘Vleugels van Hoop’, can be brought in. 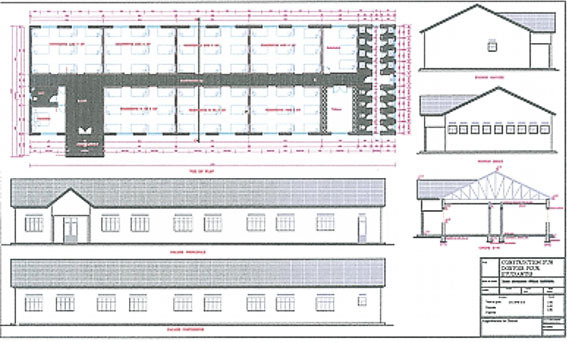 The classes which were till now used as dormitories, can again be used for their initial purpose, which will allow an increase in number of students. Photo: The new dormitories and on of the classes which till now is used as dormitory. 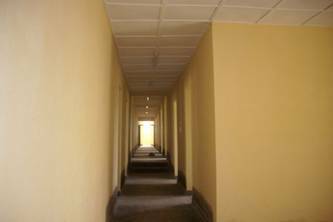 On 18.06.2010 the official inauguration of the dormitories and adjacent sanitary took place. Please find below the mail of Christine who has send us below pictures. 'Friday, 18.06.2010 from 17h, the full community gathered, being the students, the nuns, the teachers, the kitchen personnel and the priests of the parish, in the secondary school ‘Stella Matituna’ for the official inauguration of the new dormitories which we’ll call ‘The saint providence’. This dormitory can host 175 students and is equipped with double-beds, cupboards, mattresses and blankets for all. To surround these kids in trouble well the association 'Vleugels van Hoop' gave their best to offer the children mattresses, blankets and cupboards. Unfortunately not for all children so we hope 'Vleugels van Hoop' can help us with the rest, if feasible. 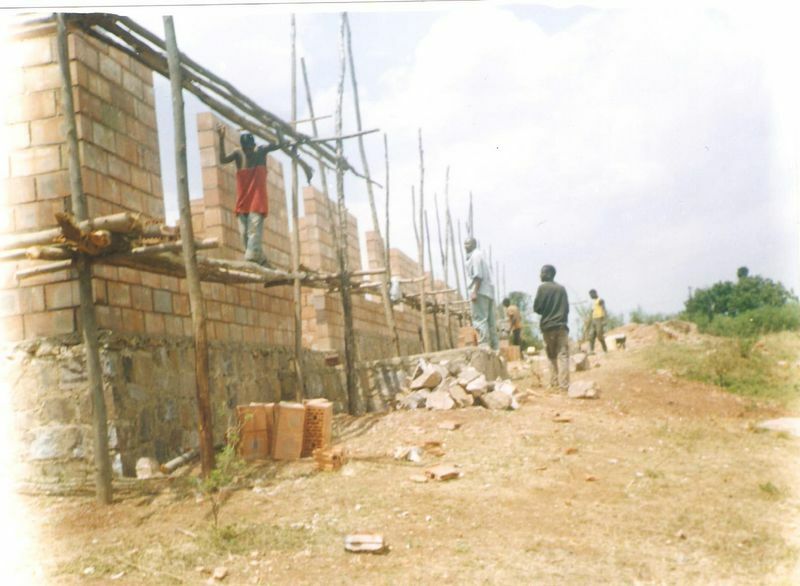 The construction of the dormitory was sponsored by Volens Brakel with the help of sister Germaine. All persons who gave a speech explicit expressed their gratefulness to all above people, for their generous heart and their gifts for the benefit of the poor, for this big activity and for the still coming support they will provide. The festivities ended with the benediction of the building, with dancing and singing of the students and the teachers. Once again ‘thank you’ and may God bless you and all who you work together with. Warm regards to all members..
Visit on january 18 - 2012. Wednesday, 18. 01.2012: we visit the school where we supported the establishment of the dormitory in 2009. We got to see this already on photo, but now pupils were present who danced and sang. A request for an additional dormitory was handed over to us. The school is highly sought after in the region and registrations keep coming. We hope in the future to provide more assistance.